If you've been around for a while, you're probably aware that I was in a sorority in college. Alpha Omicron Pi, baby! Even though I have graduated, I'm still so proud of my sorority and love it so much. I mean, when you join a Greek organization, you're a member for life. One of the big events that AOII has every year is called Strike Out Arthritis. Collegiate chapters usually hold their own Strike Out events, but our headquarters actually partners up with MLB for Strike Out Arthritis, where sisters and their family and friends can come out and enjoy baseball, while giving back to the Arthritis Foundation. I really enjoy baseball. Because my youngest brother has played for about eight years, it is the sport that I understand the most. On Saturday, David (the boyfriend), Brent (the little brother), and I headed to Suntrust Park to see the Braves play against the Nationals. I've been to The Battery before (Wahlburgers is GOOD! 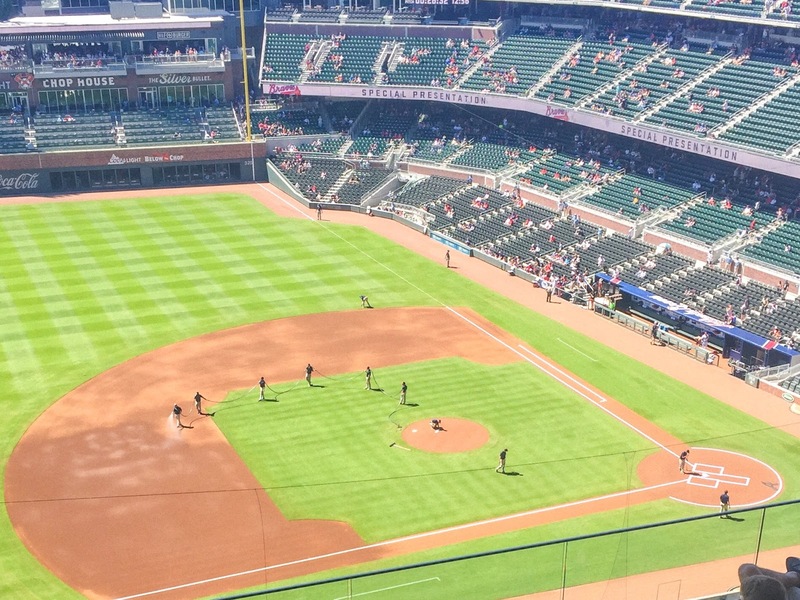 ), but I haven't been to a Braves game since they moved to Suntrust Park. 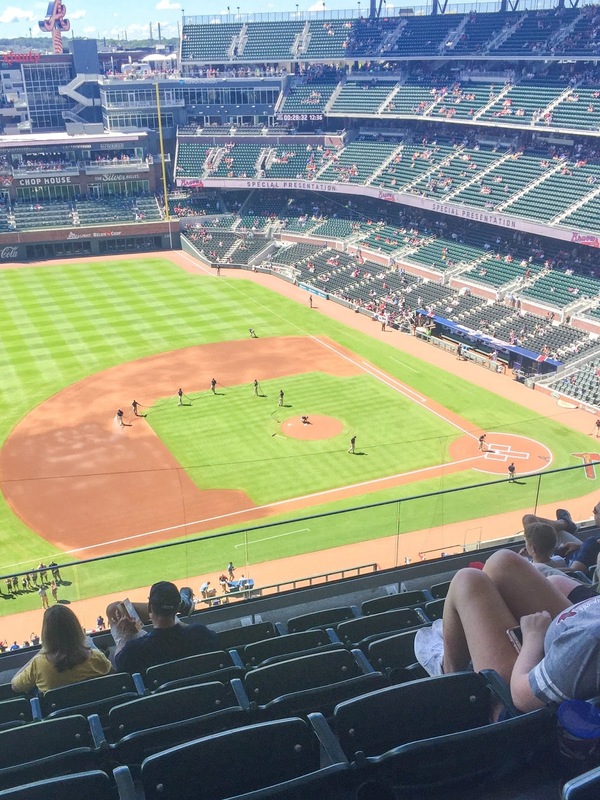 I was so excited for this game because I knew my money and time was going towards a good cause and also because I had not been to a Braves game in a while. Before the game, I had some breakfast at home, but I did bring a few snacks and a water bottle to the game. If you didn't know, you can bring outside food into the park as long as it is in a clear, gallon-sized bag. You can also bring a sealed water bottle! The game was a good one, despite the Braves losing. Suntrust Park is beautiful. We had general admission seats, so even though we were high up, the view was still good. Not bad at all. I love all the little games that are played between innings, especially the Home Depot Tool Race! Honestly, that's probably my favorite part of going to a Braves game! Are you a baseball fan? If so, what team do you always cheer for?